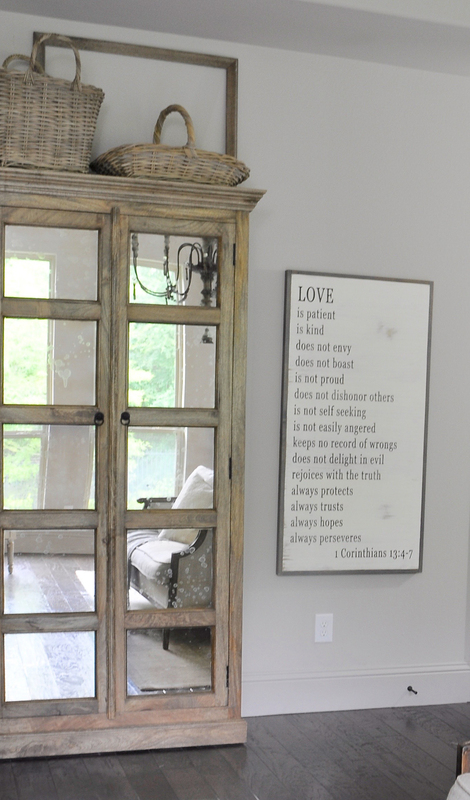 Mirrors are one of the most versatile decorative pieces you can have in your home. They reflect light and open up spaces in ways that very few items can. Because of this, they are a key design element and when used properly will enhance your decor theme quite well. 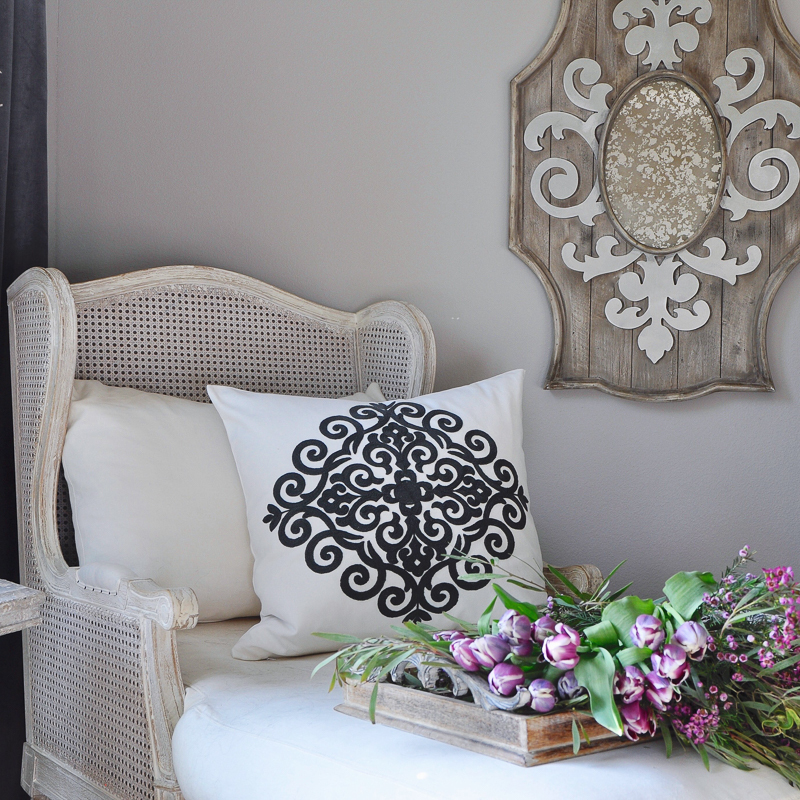 As with any decorative item, there are “do’s and don’ts” associated with decorating with mirrors. Today, I thought I would share some of these tips with you since mirrors can cover the entire price spectrum as it relates to design. First and foremost, if a mirror is going to reflect something, make sure it is not a random item. 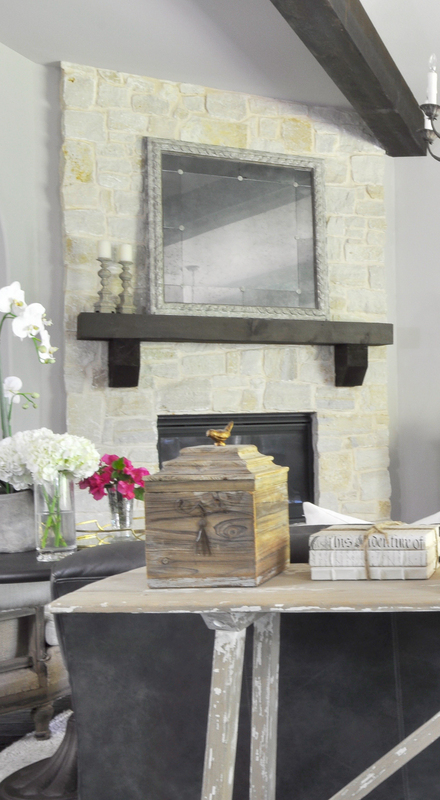 As a rule of thumb, you always want them to reflect a specific item or light within the space. Now, let’s talk about some options to add mirrors to your home. On the wall. Below is a classic singular mirror which has been antiqued. I like to group them when possible as I’ve done in our entry hall. 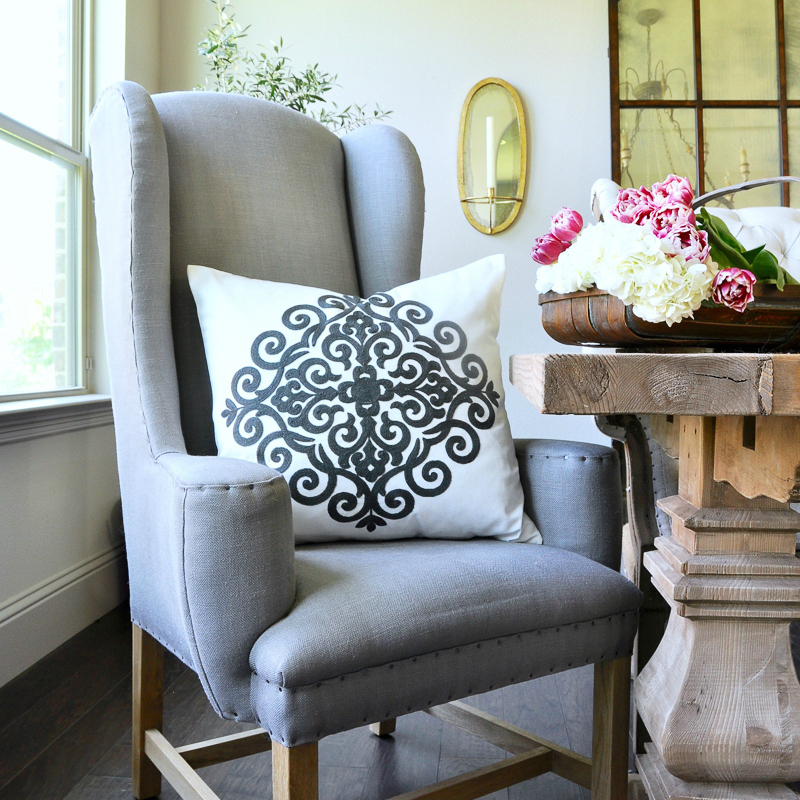 This offers a warm welcome to your guests via feng shui guidelines. Leaning. 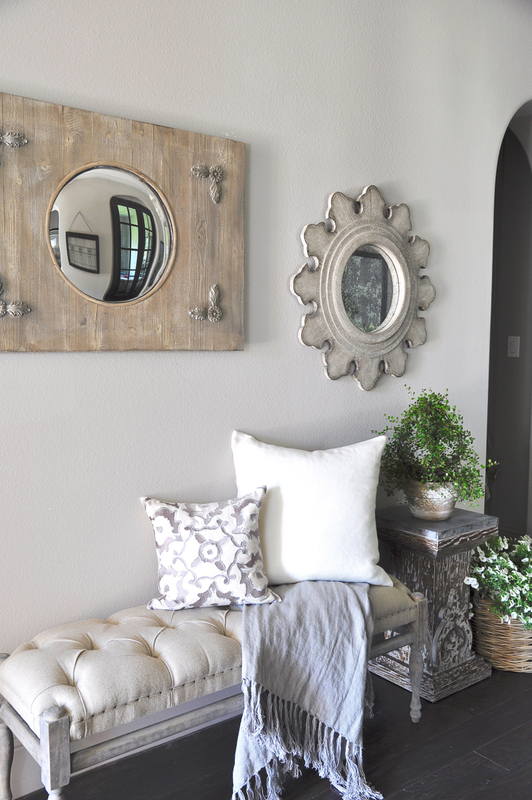 I am a huge fan of leaning a mirror in a focal point in the home. Placed above a fireplace, this antiqued mirror offers intrigue to the space as well as reflecting light from the back yard which is to the right as you are viewing the picture. 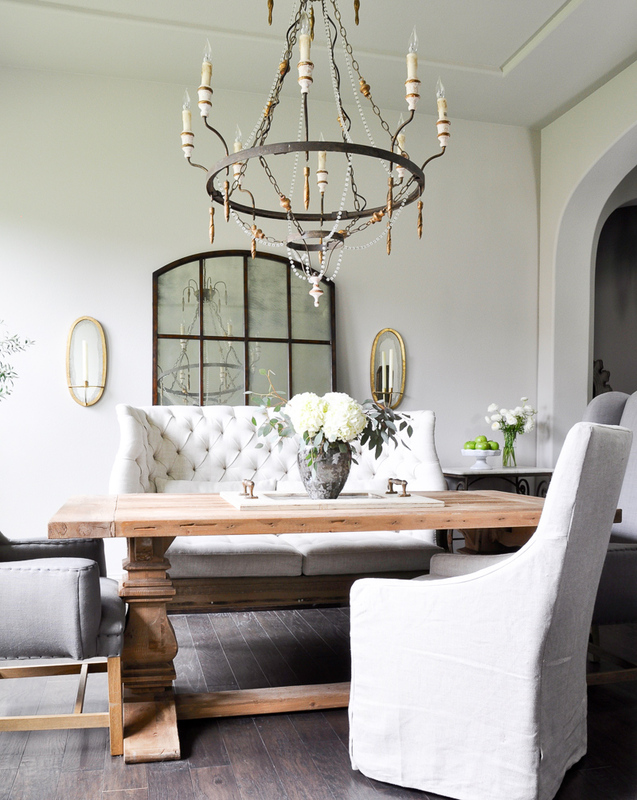 This mirror in my dining room was one of my first purchases for this home. In the first picture, it prominently displays the deconstructed back of the settee. Also, notice how the chandelier is reflected in the second picture below. Decorative accessories. The simplicity of this mirrored sconce works quite well and functions as an anchor between the foliage in the corner and the leaning mirror to the right. Items of necessity need not be unattractive. 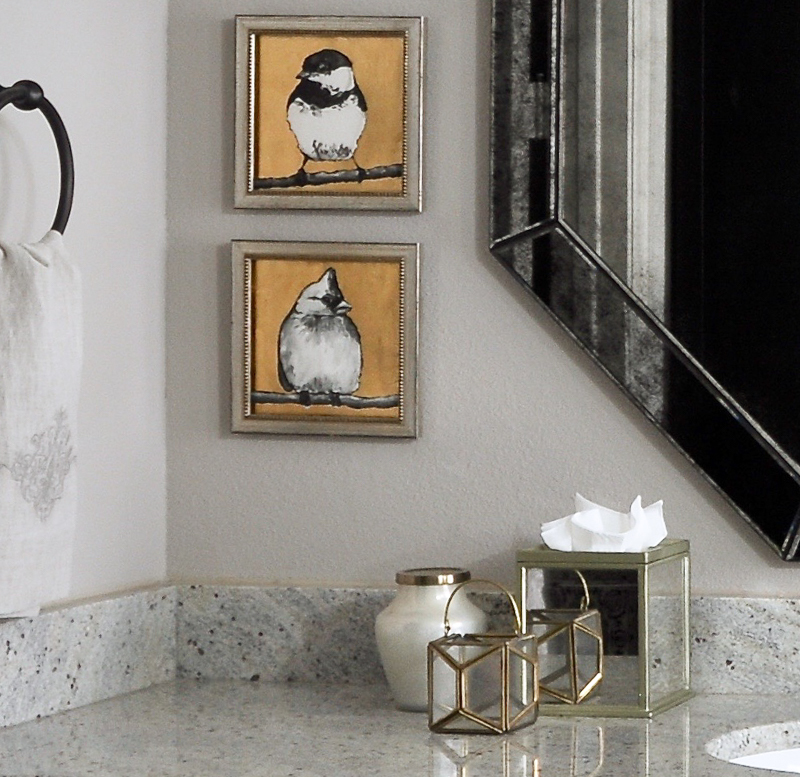 This mirrored tissue box is a great example of enhancing this space with a simple accessory. Mirrored furniture. This piece is in our bedroom and I was careful not to reflect the bed which is the preferred guideline by most designers. Notice the circular spots within the mirror? They are inherent for this particular piece and are one of the distinguishing characteristics of this mirrored cabinet. Let’s talk about smaller spaces for a moment. When you are dealing with small rooms, a larger mirror will work well in this capacity as it will offer depth. Don’t be afraid to go big here. A mirror can literally occupy the bulk of the wall in smaller spaces. As you think about decorating various rooms within your home, mirrors are a fantastic option to consider as they are readily available in every size and style you can imagine. 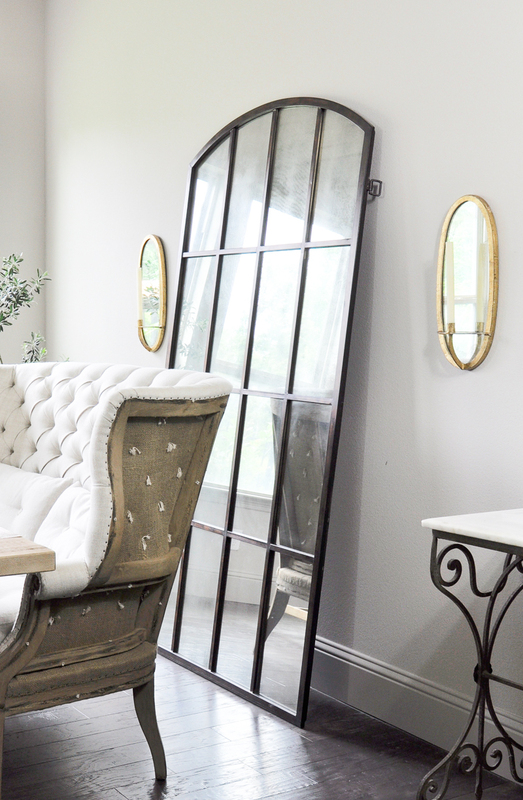 Please share in the comments below how you have used mirrors within your own design scheme. I would love to hear from you! Thank you for visiting Decor Gold Designs. I am honored you have chosen to spend some of your time here. Please tell a friend and consider subscribing if you have not done so already. *Similar items were linked when the exact item was unavailable. Just lovely. May I ask what the paint color is on your walls? It is stunning. Thanks. Thank you so much Jae! The paint is actually a custom blend. Sorry! Hi Jennifer! Just recently I stumbled upon your account on Instagram, what a struck of luck! I’m enchanted by your designs! Mirror blog was a real treat to read as it hits close to my home. I am contemporary glass artist and use mirrors as my canvas. Thank you for this, your work is inspiring! Hello! Thank you so much for your kind words. Your work is lovely!